Guilt over the food frenzy of the past month is starting to set in. There’s still time to indulge. January 1 is really the date for tossing out the leftover cookies and becoming reacquainted with the treadmill. But I took a step in the right direction with last night’s dinner. Crab cakes aren’t exactly diet food, but I had a half pound of frozen crabmeat that I wanted to use. 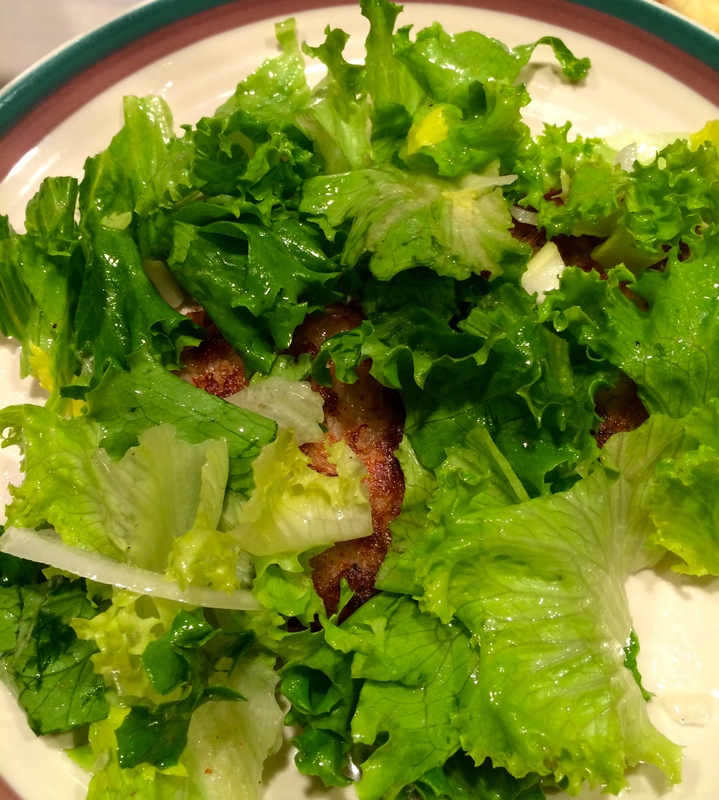 I compromised by completing the meal with salad dressed with a lemon vinaigrette. I actually use this technique a lot. Topping a protein with salad is pretty standard around here. 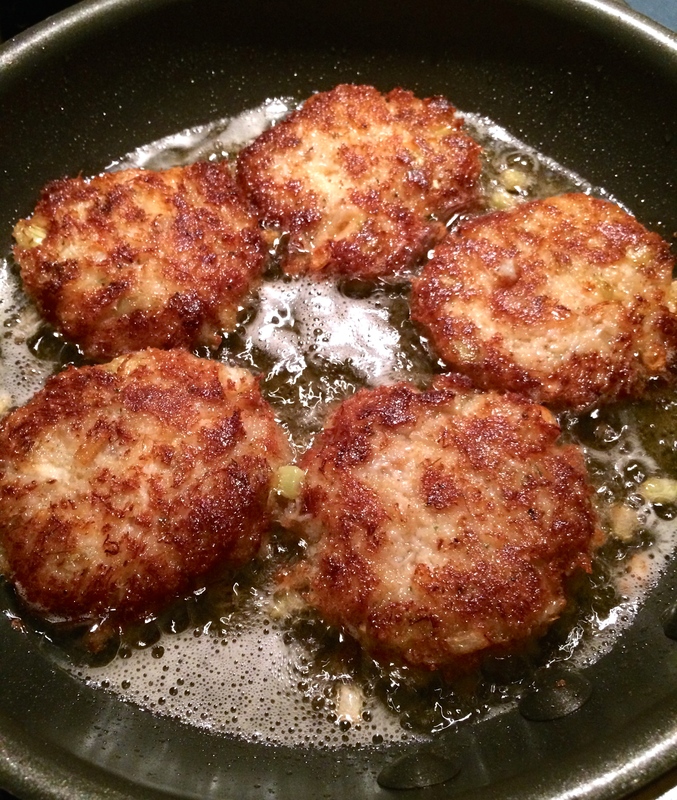 Usually the protein is chicken cutlets or fishcakes, but it’s the holidays, so there was crabmeat still around.